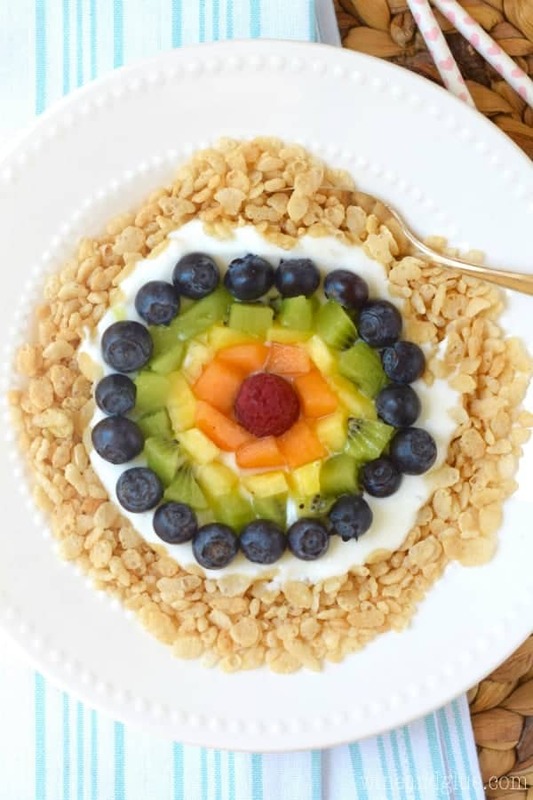 These Rice Krispies ® Rainbow Bowls are so easy that the kiddos can make them themselves, perfect for a snack and super fun for breakfast! 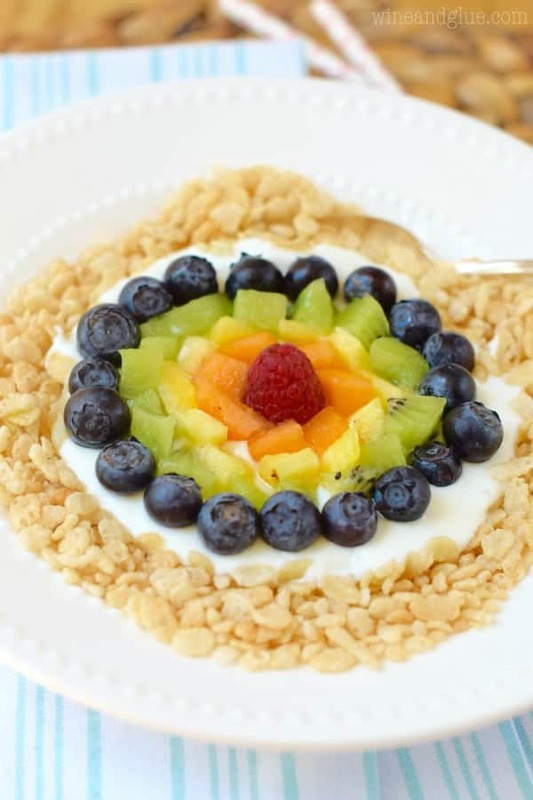 Thank you Rice Krispies for sponsoring today’s super easy and fun recipe! Is it just me or do kids become about 8 million times more hungry when they go into school? It’s like they really do need more fuel to power those little brains. I know with Gavin, when he is in school we have to have so many more snacks at the ready and he needs to eat a serious breakfast in the morning to get him through the day. And now with Quinn starting school this year, I feel like I really need to step up my snack game! Which is why I am seriously in love with these Rice Krispies Rainbow Bowls. They are an amazing breakfast for kiddos, or a really fun afternoon snack that they can totally help put together. My kids love picking out fruit at the store and would absolutely get a kick out of picking out all the colors of the rainbow to top their Rice Krispies Rainbow Bowls. 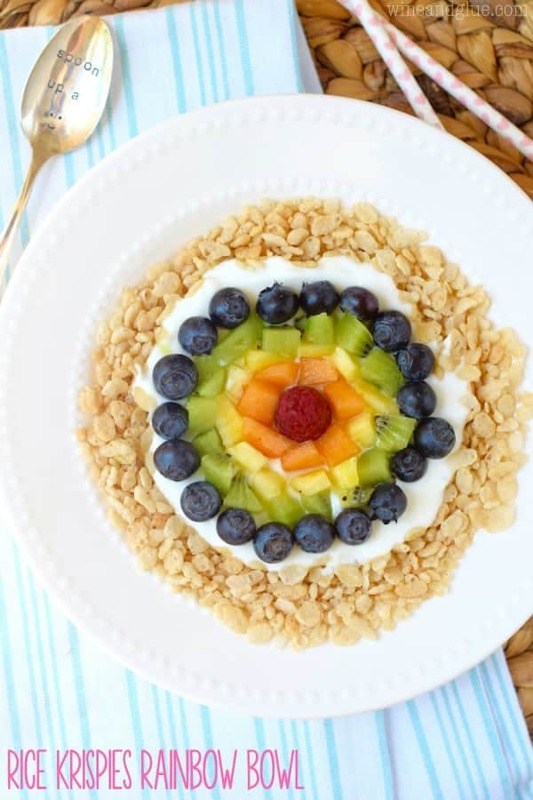 These start with about half a cup of Rice Krispies, add a little vanilla yogurt, and then arrange your kiddos’ favorite fruits on top to make a rainbow. On ours we have a raspberry, some melon, a little pineapple, some kiwi, and then some blueberries, but of course you could switch it up with strawberries, green melon, mango, bananas, grapes . . . you get the idea. And with these ingredients, I feel great about this becoming a regular fun snack in our house! Make sure you follow Rice Krispies on Facebook, Pinterest, and Twitter for more great and creative snack and breakfast ideas!